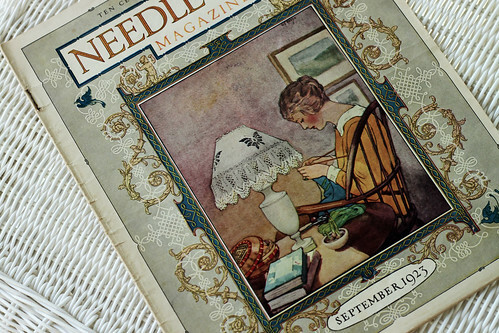 Another quick post of an old needlework magazine. 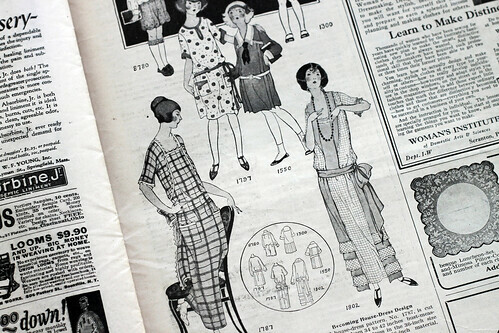 This is a lovely magazine from September 1923. I picked this copy up at an antique store when I first started doing thread crochet. It has some nice patterns though now I prefer to work from charts. 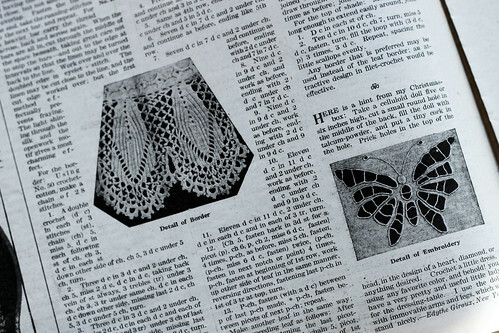 It has the instructions for the lampshade illustrated on the front cover. I love these dress patterns. They could be ordered for 12 cents each through the mail. 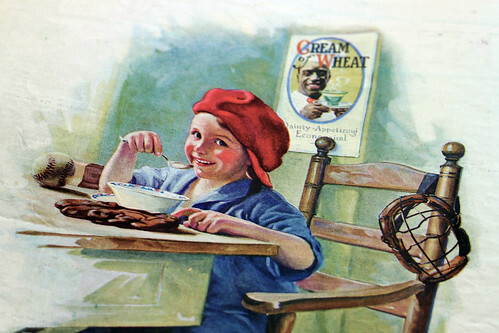 This is a cute Cream of Wheat advertisement. Ads like this make old magazines more valuable. This entry was posted on Thursday, October 8th, 2009 at 3:00 am and is filed under Craft. Tagged: Needlework. You can feed this entry. You can leave a response, or trackback from your own site. What a lovely old magazine. I have many old magazines and leaflets inherited from my MIL. How do you get your pictures so sharp? Do you resize them? If so, to what % of original size? Hi Sigrun, I do resize them to post to the web. I just guess about the amount. I think it is about 1/3 the original size. I take the photos at the highest jpeg setting on my camera, then use the photoshop feature that says “save to web” under the file menu.